President-elect Donald Trump nominated E. Scott Pruitt to direct the Environmental Protection Agency this week, sending shockwaves throughout the environmental community and making good on promises from his presidential campaign. 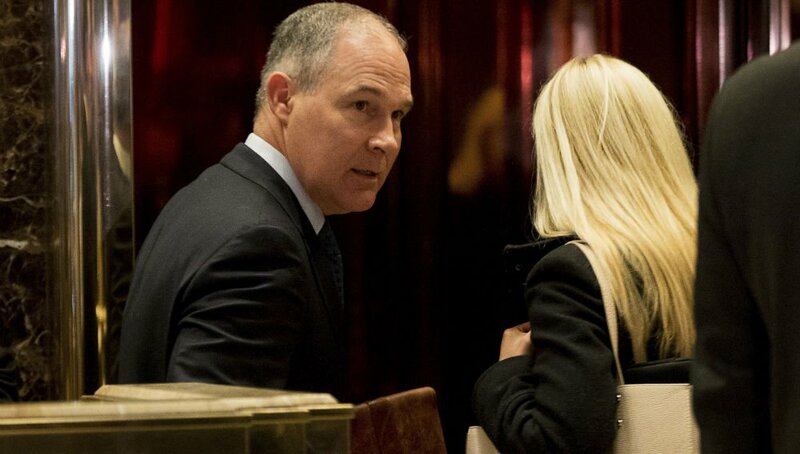 “It is more than abundantly clear that his best friends are all big energy,” Johnson Bridgewater, director of the Oklahoma Chapter of Sierra Club, the state where Pruitt is currently attorney general, told Global Citizen. Pruitt describes himself as “a leading advocate against the EPA’s activist agenda” and denies the link between man-made emissions and climate change. Sierra Club: "Having Scott Pruitt in charge of the Environmental Protection Agency is like putting an arsonist in charge of fighting fires." This decision is in step with Trump’s other Cabinet appointments, a group of powerful, wealthy, well-connected men and women who together espouse an ideology of anti-regulation, increased privatization of public assets and services, and states’ rights. Read More: With Pick of Betsy DeVos, Does Donald Trump Want to Kill Public Schools? For Trump, Pruitt’s nomination signals that he is serious about his pledge to repeal regulations. Outlining his 100-day plan, Trump said that for every new regulation, two old regulations would have to be removed. While removing existing environmental regulations is difficult, Pruitt will have four years to figure out how to unravel hallmark environmental rules like the Clean Power Plan. Pruitt is the attorney general of Oklahoma. He first assumed this office in 2011 and won an uncontested reelection in 2014. Before this, Pruitt worked his way through the state’s senate, which he joined in 1998. He also has extensive experience practicing law in the private sector and specializes in constitutional law. What does his record look like? Pruitt has dedicated his political career to upholding private, commercial, and religious interests. He opposed the Supreme Court’s decision to strike down the Defense of Marriage Act, which prohibited gay couples from getting married. He supported Hobby Lobby in its efforts to deny employees birth control, a landmark Supreme Court case from 2014. He tried to restrict access to birth control and abortions through a failed case brought to the Supreme Court. He regularly supported lawsuits against the Affordable Care Act. He has challenged the Obama administration’s efforts to give undocumented minors a path to citizenship through the DREAM Act. He participated in the effort to deny transgender people the right to choose which bathroom to use. But throughout his years in power, his most abiding political obsession has been fighting efforts to protect the environment. — Since the Clean Power Act was enacted in 2011, which aims to reduce greenhouse gases from power plants, Pruitt has launched several lawsuits against the regulation and is one of the architects of a 28-state case aiming to gut its key provisions. — Pruitt has fought against regulations capping how much mercury factories could pollute into the environment. — He has also fought against regulations to limit ozone in the lower atmosphere. While ozone is necessary high up in the atmosphere, when inhaled by humans it is hazardous; it has been called “one of the most dangerous pollutants” by the American Lung Association. — He sued the EPA to end a regulation requiring air around national parks to be especially clean. In Oklahoma, Pruitt has a close relationship with the fossil fuel industry. A Pulitzer prize-winning investigation by The New York Times revealed that lawyers from the oil and gas company Devon Energy have drafted letters for Pruitt to send unchanged to the federal government bearing his signature. Harold Hamm, the CEO of another oil and gas company, led Pruitt’s reelection campaign and is a part of Trump’s 2017 transition team. This cozy relationship has come at the expense of the public’s welfare, according to Bridgewater of the Sierra Club. Oklahoma has experienced a dramatic increase in earthquakes over the past several years that has been definitively linked to fracking, which involves injecting massive amounts of wastewater into the ground. Despite the clear evidence, Pruitt has not addressed the issue while serving as the state’s attorney general. The Environmental Protection Agency was started in 1970 as a way to protect the environment and human health. It was signed into law by Republican president Richard Nixon and received broad bipartisan support. Over the decades, it has enacted many regulations to ensure water, air, and land quality; protect endangered species; limit hazardous waste; and protect consumers from toxic substances. The EPA also conducts studies on environmental and health issues; provides grants to states, nonprofits, and educational groups; and teaches the public about the environment. As of 2014, the EPA’s budget was $8.2 billion, which is 10 times smaller than the department of education’s budget, and 100 times smaller than the department of health’s budget. The EPA employs nearly 16,000 people and contracts work out to many more. The EPA only began to regulate greenhouse gases in 2011 under the Clean Air Act, which has become a central pillar of the Obama administration’s strategy to combat climate change. How will Pruitt run the EPA? As someone who is adamantly anti-EPA, the choice of Pruitt suggests that Trump wants to dismantle the agency. After all, Pruitt has spent much of his career attempting to do just that, but from the outside. Now that he’s on the inside, it might seem that he’ll be able to achieve his goal. But that won’t be easy. As William Buzzbee writes for The New York Times, there are many checks in place that limit how much can be dismantled. For example, for an existing regulation to be repealed, Pruitt will have to provide substantial scientific evidence refuting that regulation’s legitimacy. All EPA regulations are backed by exhaustively researched evidence and are hard to objectively undermine. 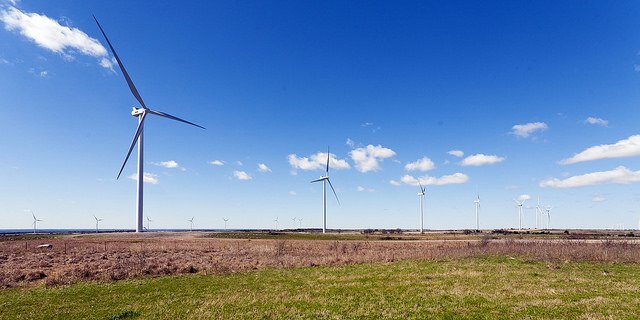 And then there’s the momentum of clean energy. Most fossil fuel companies have taken steps to abide by the Clean Power Plan, overhauling their infrastructure and investing in new technologies. Further, the broader investment community has adapted to the global mandate to address climate change — money is flowing away from fossil fuels to clean energy. What this means for Pruitt is that no matter how much he wants to bring fossil fuels back to the fore, he’ll be pushing against the tide. It also means that job creation will be more associated with clean energy than coal. Since Trump wants the EPA to play a role in job creation, it makes sense, once the facts are laid out in front him, to facilitate clean energy production. While Pruitt will have a hard time undoing the EPA, he will be able to slow down future projects, stop the implementation of new regulations, and make the agency ineffective at responding to emerging environmental issues. Pruitt will be able to divert and squander the EPA’s budget, making it incapable of playing the role it has historically played. However, this is more a matter of restraining the agency than remaking it. For environmentalists, this means that the next four years will be weathering the storm and pushing back against attempts to undermine progress on climate change. “We’re going to keep on doing what we’ve been doing with a renewed sense of passion if the President-elect actually follow through on his claims,” Bridgewater said.